Recently I took the JBL Reflect Contour Bluetooth Headphones out for a test drive and I have found that they out perform a lot of the other Headphones I have brought in the past, and there have been many. I am very active person and of course I love to have music playing especially when running. Then again let’s face it, who doesn’t? I used the JBL Reflect Contour for gym workouts, running and general non-fitness activities. I wanted to make sure I put it through its paces. The only problem I have with them is just a small, barely there trait that I will get to in a moment. Admittedly I have always been hesitant to try a set of headphones, which had an arm to secure the earpiece into the ear. I have always gone towards those that sat over the ear, regardless of whether they were corded or wireless. The reflect contour actually provided me with all the best features that headphones have to offer. The JBL Reflect Contour is a wrap around, Bluetooth set. They sit over the ears and the cord that wraps around the back of your neck is very lightweight and for the most part unobtrusive. The small control panel is high up on the left side close to the earpiece. The control is fairly lightweight so it doesn’t weigh down the earpiece even whilst running. From this control panel you can control volume, skip tracks either direction and take phone calls. I have found battery life to be an issue with other wrap around Bluetooth sets but with this particular brand I had used them for four hours before the voice over told me I was half way through the battery life as opposed to cheaper brands lasting no more than two hours. So if you have a long day ahead on your feet like a hike and such, you know you are going to get a good days use out of this set. The ear tips are interchangeable and this set, (instead of coming with the obligatory smaller ear tips), comes with three different sized ear tips AND stabilisers. All of which are easy to change and come with a convenient storage box, which is a small-sectioned box. Extremely ideal compared to the little plastic bag usually provided. My partner tried the smaller pair of tips and stabilizers and found they were a great fit and very comfortable for her smaller ears. Let’s talk about the all-important sound factor. I can’t fault the sound quality with this sweat proof head set. The unique design of the contour allows for the sound to be directly pushed into your ears. All while being firmly held into position by the upper arms of the earpiece. It allowed for a great seal on my ear, that I haven’t found from many other headphones of the same type. The sweat proof feature of the headphones were better than I thoughts they would be, which is extremely important for fitness training. Other fitness earphones I have tried in the past where sweat proof but still were affected by the sweat build up. I was pleasantly surprised when I ran 8km with a good deal of sweat pouring off me and they didn’t block the sound. When I had the sound cranked to the loudest setting, it seemed that others around me were unable to hear what I was listening to. A bonus for me was I couldn’t hear them or anything else going on in the gym or when on a run. A real plus for me personally and I’m sure others who like to focus on a workout or drown excess outside noise. The only annoyance, and I’m reaching for this one, is when exercising in an inverted position such as mountain climbers, the cord does flap around a bit as there is no anchor to clip to the back of my shirt, but that is a small detail that in the grand scheme of things can be ignored as the positives about this product far outweigh this small negative. All in all I would have to give this product a 5 star rating. From the convenient packaging and accessories to sound quality and comfort. JBL Reflect Contour is a fantastic product and I would recommend it not just for active days in the gym but also for general use. 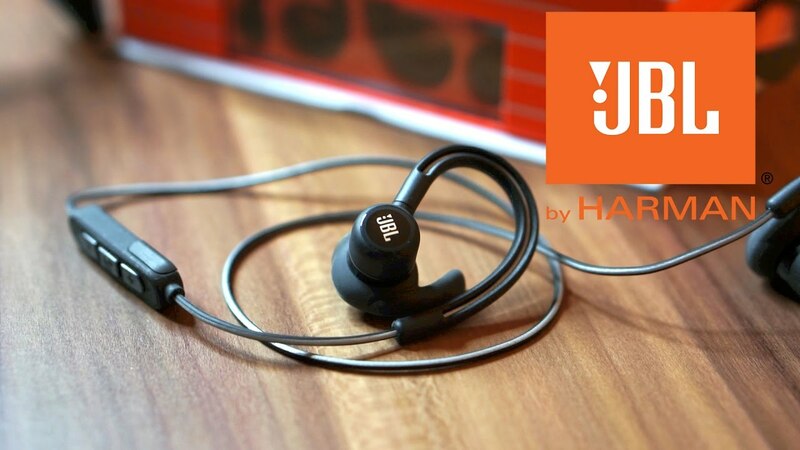 If you want to purchase them direct from JBL click here.